All businesses must be prudent with the way that they manage and spend their money if they want to survive in the long run. A business that saves money wisely will be able to survive even in slow economic times. If you are a business owner facing money problems and want to correct these issues quickly, there are several steps that can be taken to improve your organization’s financial picture including working on your budget, automating business tasks, and choosing a no-fee business loan alternative for your company. To start out with budgeting and expense management, Citizens Bank suggests taking an audit of all of the assets currently owned by your company so that you can determine what you need and do not need. You might be able to cut back on taxes and storage costs and earn some quick cash by selling unneeded furniture, technology, or other equipment. Try to stay away from reducing expenses that are necessary for your business to run successfully, such as advertising, employee salaries, and safety equipment for your staff. Other common strategies for cutting down on business expenses include lowering energy costs by switching to CFL lighting and getting better windows and insulation, as well as promoting telecommuting to reduce spending on office space. When it comes to budgeting, Intuit recommends that companies make use of modern budgeting tools to create quarterly or monthly budgets, instead of just making a budget each year. This helps you get a more detailed view of your company finances and also allows you to revisit your budget in case circumstances change and you need to alter your expenditures. Be certain that you include expenses that you are sure about, such as rent, payroll, and inventory costs. For areas that you are unsure of or if you are a startup, do some research about typical business spending. There are several business tasks that you can make less difficult through the use of technology. For example, several programs exist that can be programmed to automatically make posts to social media networks. You can also find software that is made to help you fill out forms that require common information for businesses such as tax ID numbers, addresses, and phone numbers. Accounting is a field where redundancy is especially present for small businesses. You can implement modern software to help you automate the logging of expenses that you face regularly. There are also many programs made to help generate standardized invoices, which saves you a tremendous amount of time when billing customers. A no-fee business loan alternative is an ideal way to access capital quickly when you need it. 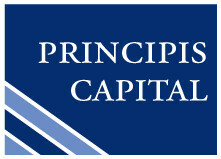 Principis Capital offers a short application that can be completed in 30 minutes and a very fast turnaround time for your loan alternative. We will also work with business owners that have bad credit so that they can get a no-fee business loan alternative even if their personal credit has suffered over the course of running their business. You never have to worry about hidden fees, as you will receive a proposal for an exact amount that will never change. Funding is crucial for all kinds of companies. With the right budget and expense management, the automation of repetitive jobs, and access to the proper capital sources, any organization can ease the difficulty that comes with having a limited flow of cash and a seemingly large amount of expenses.